Dukes in Disguise releases today! Just in time for the weekend! Let me tell you a little story about my little story “Duchess of Light” in the anthology. Grace, Emily, and I thought up our grand novella idea at the RWA conference in New York City. At a tiny table outside the bar, we sketched out the idea of three dukes hiding out in a small town near the Scottish border. We set our draft deadline for December 1st. In July, December was just an abstract concept. I had just turned in a Victorian romance, was working on a major revision on another Victorian historical. Once that was completed, I had committed to writing some sample chapters for another project. Then I would work on the novella. Needless to say, time slipped away and December, once abstract, was now very real and barreling toward me. And I hadn’t written a single word on the novella! To make matters worse, Emily and Grace had already finished their rough drafts. I was going to have to write the fastest I had in my life to make the deadline. I opened my word processor and then disaster struck. The last Regency romance I had written was in 2010. It was like a language I had once spoken but hadn’t practiced in years. Now I was back in Regency land, trying to figure out how to ask where the bathroom was. I needed help. Fast. Sitting on my bookshelf, collecting dust, was an annotated copy of Pride and Prejudice that I had bought years ago. I seized the book and dived in with a pen in hand. I noted any distinct Regency turns of phrase on the front pages. By the end, I had filled five pages. I would like to share some of my Jane Austen speak. 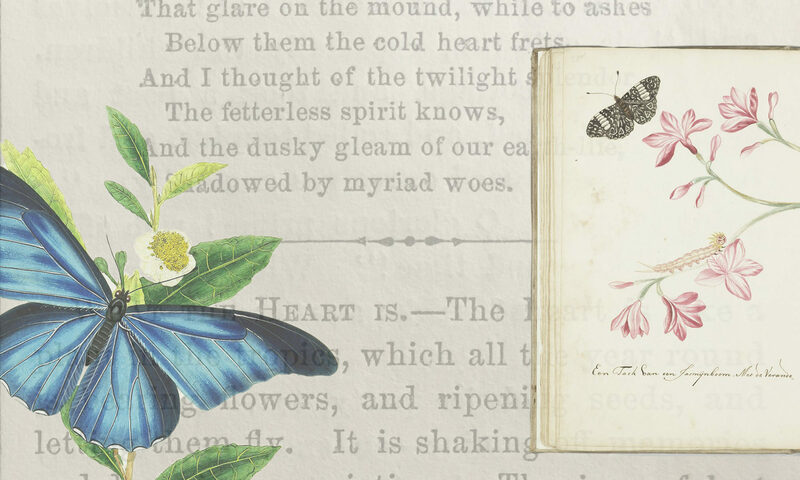 The illustrations are from The Novels and Letters of Jane Austen, Volume 4. Lady Catherine continued her remarks on Elizabeth’s performance, mixing with them many instructions on execution and taste. Elizabeth received them with all the forbearance of civility, and, at the request of the gentlemen, remained at the instrument till her ladyship’s carriage was ready to take them all home. *Susanna’s note: instrument means piano. On entering the drawing-room she found the whole party at loo, and was immediately invited to join them; but suspecting them to be playing high she declined it, and making her sister the excuse, said she would amuse herself for the short time she could stay below, with a book. Mr. Hurst looked at her with astonishment. Seriously, I would have you be on your guard. AND “My dearest sister, now My dearest sister, now be serious. I want to talk very seriously. Let me know every thing that I am to know, without delay. Darcy had never been so bewitched by any woman as he was by her. He really believed, that were it not for the inferiority of her connections, he should be in some danger. The first half-hour was spent in piling up the fire, lest she should suffer from the change of room; and she removed at his desire to the other side of the fireplace, that she might be further from the door. Choose properly, choose a gentlewoman for my sake; and for your own, let her be an active, useful sort of person, not brought up high, but able to make a small income go a good way. And now nothing remains for me but to assure you in the most animated language of the violence of my affection. AND Her eldest daughter endeavoured to give some relief to the violence of these transports, by leading her thoughts to the obligations which Mr. Gardiner’s behaviour laid them all under. Dear me! we had such a good piece of fun the other day at Colonel Forster’s… (by the bye, Mrs. Forster and me are such friends!) and so she asked the two Harringtons to come, but Harriet was ill, and so Pen was forced to come by herself; and then, what do you think we did? We dressed up Chamberlayne in woman’s clothes on purpose to pass for a lady, only think what fun!… Lord! how I laughed! and so did Mrs. Forster. I thought I should have died. Mr. Collins, awkward and solemn, apologising instead of attending, and often moving wrong without being aware of it, gave her all the shame and misery which a disagreeable partner for a couple of dances can give. The moment of her release from him was ecstasy. It was borne in the latter with decent philosophy. To be sure, it would have been more for the advantage of conversation had Miss Lydia Bennet come upon the town; or, as the happiest alternative, been secluded from the world, in some distant farmhouse. From such a connection she could not wonder that he would shrink. The wish of procuring her regard, which she had assured herself of his feeling in Derbyshire, could not in rational expectation survive such a blow as this. But how little of permanent happiness could belong to a couple who were only brought together because their passions were stronger than their virtue, she could easily conjecture. His daughter’s request, for such it might be considered, of being admitted into her family again before she set off for the North, received at first an absolute negative. “Miss Bennet I am shocked and astonished. I expected to find a more reasonable young woman. But do not deceive yourself into a belief that I will ever recede. About the middle of the next day, as she was in her room getting ready for a walk, a sudden noise below seemed to speak the whole house in confusion; and, after listening a moment, she heard somebody running up stairs in a violent hurry, and calling loudly after her. She opened the door and met Maria in the landing place, who, breathless with agitation, cried out—”Oh, my dear Eliza! pray make haste and come into the dining-room, for there is such a sight to be seen! *Susanna’s note: I don’t believe “afternoon” was used. “It seems likely to have been a desirable match for Jane,” said she. “I am sorry it went off. But these things happen so often! The Lucases are very artful people indeed, sister. But, to be sure, the good lady who showed us his house did give him a most flaming character! She was confident of having performed her duty, and to fret over unavoidable evils, or augment them by anxiety, was no part of her disposition. Amazon, iBooks, Kobo, or Barnes and Noble. I was taking care of some final copy editing on my upcoming novella Duchess of Light (excerpt) in the anthology Dukes of Disguise featuring Grace Burrowes, Emily Greenwood, and yours truly. (Look links! Amazon, iBooks, Kobo, Barnes and Noble) Anyhoo, I ran a search on Google Books for a Regency slang term and stumbled upon The Works of Frances Rabelais. Translated from the French with Explanatory Notes. The 1807 English translation of his essay “Of The Disposition of the People This Year” is a riot. I giggled again as I combed the text this morning. I don’t know what a third of the Regency slang terms in this piece actually mean, but they read so hysterically. I’ve cut out the parts of the text that pertained to the French Renaissance culture but kept the English slang terms. Happy Friday! ‘Tis the oddest whimsy in the world, to fancy there are stars for kings, popes, and great dons, any more than for poor and needy… Therefore, resting fully satisfied that the stars care not a fart more for kings than for beggars, not a jot more for your rich topping fellows, than for the most sorry, mangy, lousy rascal; I’ll e’en leave other addle-pate fortune-tellers to speak of the great folk, and I will only talk of the little ones. And in the first place, of those who are subject to Saturn; as for example, such as lack the ready, jealous or horn-mad, self-tormenting prigs, dreaming fops, crabbed eves-droppers, raving, doating churls, hatchers and brooders of mischief, suspicious distrustful slouches… close fisted gripping misers, usurers and pawnbrokers, pinch-crusts, hold-fats, michers and penny-fathers, redeemers of dipt, mortgaged, and bleeding copyholds and messuages, fleecers of sheered asses, shoemakers and translators, tanners, bricklayers, bell founders, compounders of loans, patchers, clowters, and botchers of old trumpery stuff, and all moping melancholic folks and will think more than once how they may get good store of the king’s pictures into their clutches; in the mean time they’ll hardly throw shoulders of mutton out the windows, and will often scratch their working noodles where they do not itch. Those who belong; to Sol, as topers, quaffers, whipcans, tosspots, whittled, mellow, cupshotten swillers,… with crimson snouts of their own dying; fat, pursy gorbellies, brewers of wine and of beer, bottlers of hay, porters, mowers, menders of tiled, slated, and thatched houses, burthen-bearers, packers, shepherds, ox-keepers, and cowherds, swine-herds, and hog-drivers, fowlers and bird-catchers, gardeners, barn-keepers, hedgers, common mumpers and vagabonds, day-labourers, scowerers of greasy thrum caps, stuffers, and bum-basters of pack saddles, rag-merchants, idle lusks, slothful idlebies, and drowsy loiterers, smell-feasts, and snap-gobbets, gentlemen generally wearing shirts with neck-bands, or heartily desiring to wear such; all these will be hale and sharp set, and not troubled with the gout at the grinders, or a stoppage at the gullet, when at a feast on free cost.